Sometime life works in mysterious ways. This story begins with 1 yard of fabric, passed on to me by Susan, with a task attached: Create something really beautiful - anything you like - and once finished, it'll be showcased at a particular store and I would have to teach a class on the item - then, the finished product would be mine. It was a beautiful fabric. And I knew exactly what I would want it to become. with brown suede tape and binding details. 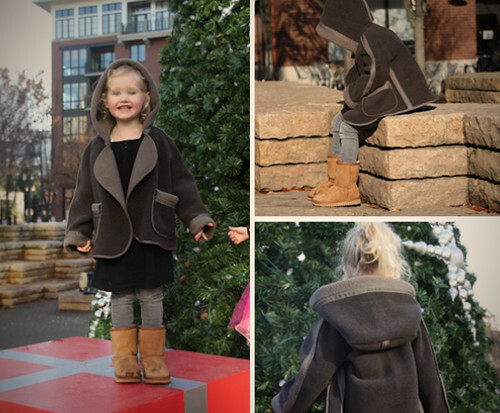 The Nituna reversible jacket pattern was actually the first jacket pattern in the new Figgy's line. I love the simplicity of the design and the versatility of the pattern. And how it can showcase double faced fabrics beautifully without strange bits and bobs that you have to live with when making a reversible style. 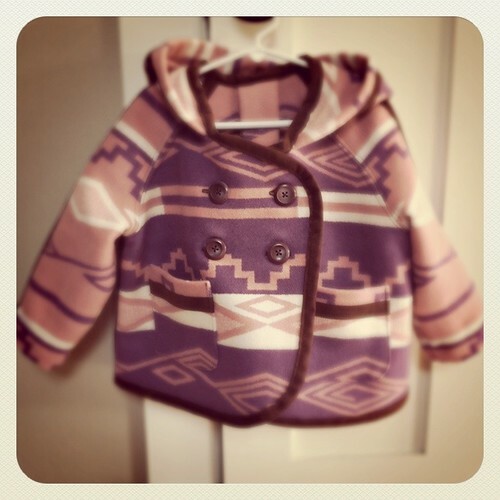 And made up in any of the many beautiful Pendleton fabrics - you'll create a truly show-stopping piece. "Wait a minute!" you might say "all of this sounds super nice but where I live, I can't even get my hands on any Pendleton fabrics"
No need to be discouraged - Pendleton has a huge store here in Portland and the staff is very nice and extremely helpful. They post most of their fabrics including (sales) on their blog - and if you have laid eyes on a specific fabric, just call them toll free 866.865.9285 and they'll ship out to you. 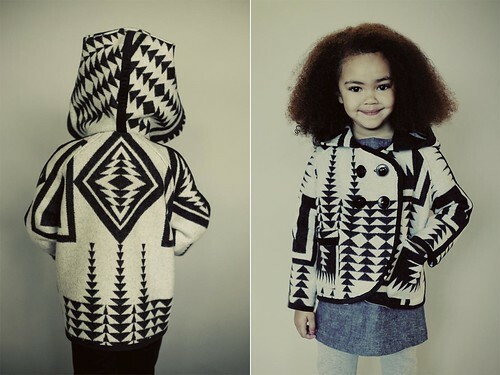 All the ingredients for the jacket above can be purchased at their store and they also carry the Nituna pattern. Didn't I mention that the pattern is very versatile? And this guy here is out of a thick double face polar fleece with a Sherpa like side (inside) and a flat micro fleece side (outside). I left the patch pockets unfinished with the raw edges showing which just underlines the rugged appeal of the fabric. I omitted the buttons at the front which makes for a nice, flattering drape effect. Last but not least: The class I talked about earlier.